Riverbend Golf Muffler Man – The Home of My "Big Things"
Another found image from yesteryear that is not finding the light of day, so to speak. It was a wet, rainy day, the Friday after Thanksgiving in Detroit with the Davidsons. Greg, Erica and I went on a big things safari. 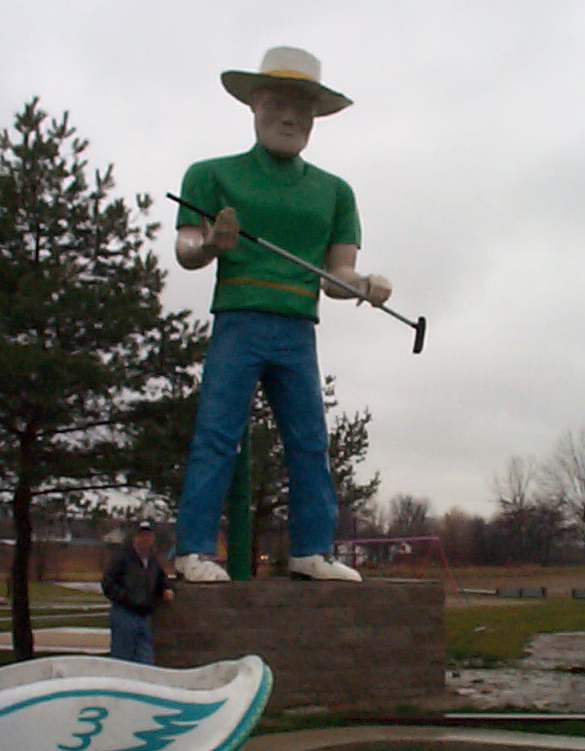 The Muffler Man stands at the Riverbend Mini-golf and Driving range.